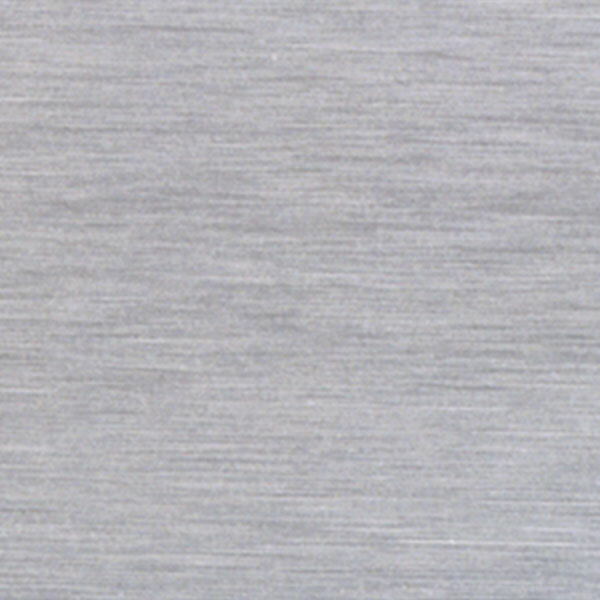 Whether they are part of a remodeling project or new construction, Recessed cases are the perfect fit. The built-into-the-wall display allows for a high degree of security with an absolute minimum of free space. 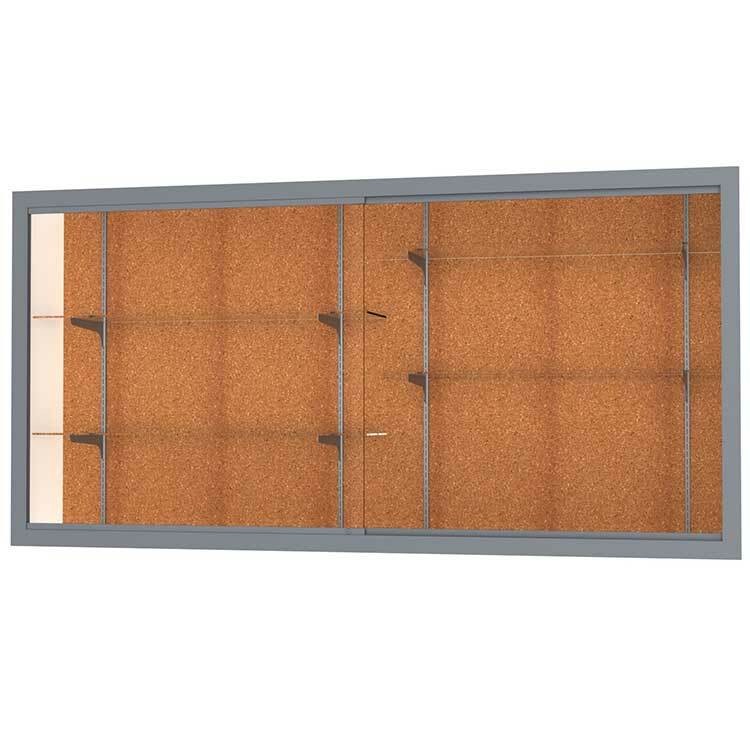 Sliding tempered glass doors with ground-in finger pulls, built-in locks, steel shelving hardware, and white laminate interior side panels come standard. Our special design allows for easy installation, by a qualified installer, and a precise fit into tight wall openings. 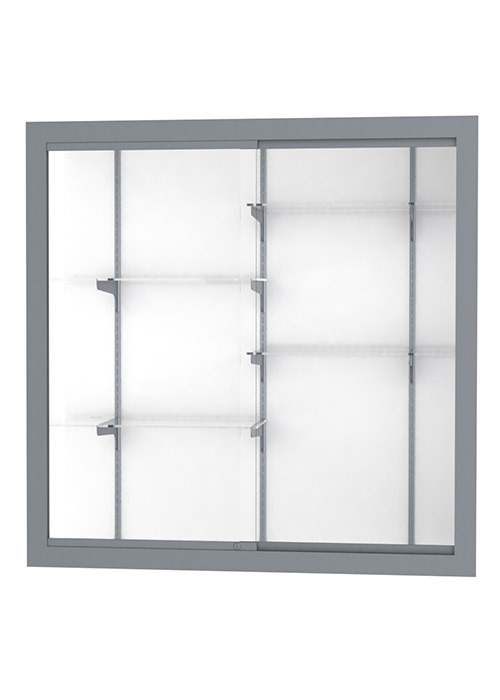 Recessed offers sliding tempered glass doors with ground-in finger pulls to provide a sleek design. A built-in locking system provides an added level of security and protection for the contents inside. Special built-into-the-wall design proves for an easy installation and precise fit into rough wall openings. 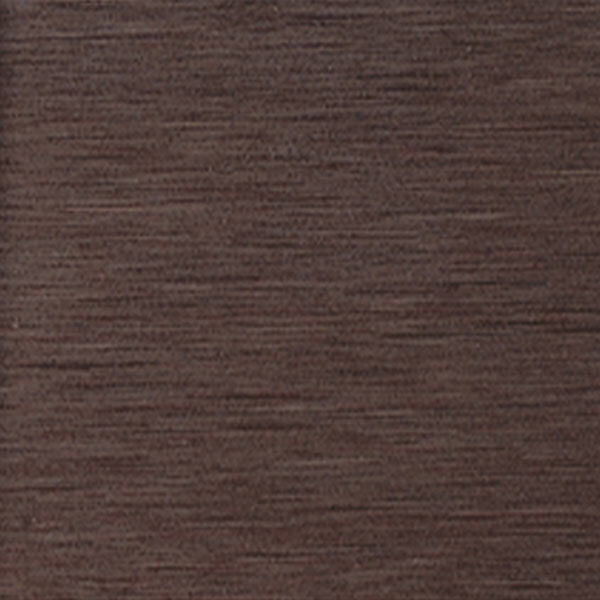 Custom laminates or stain matching is available for the inside face of the display case. Recessed is backed by Waddell's Limited Lifetime Warranty. 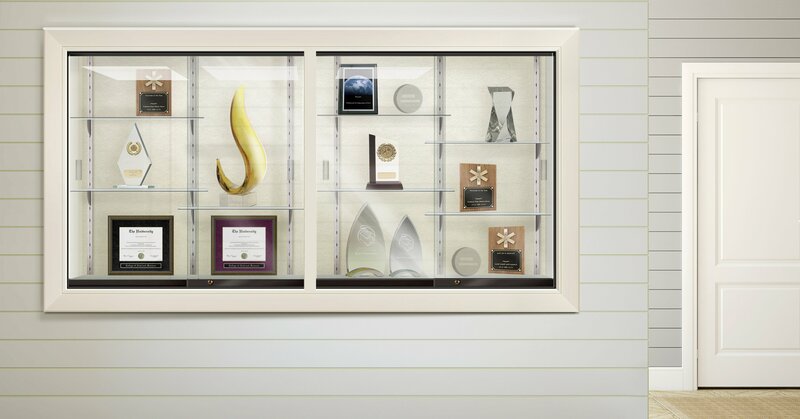 Waddell's Recessed Series of display cases can be the perfect fit for your remodeling project or new construction. Its built-into-the-wall design allows for maximum display presentations where free space is limited. 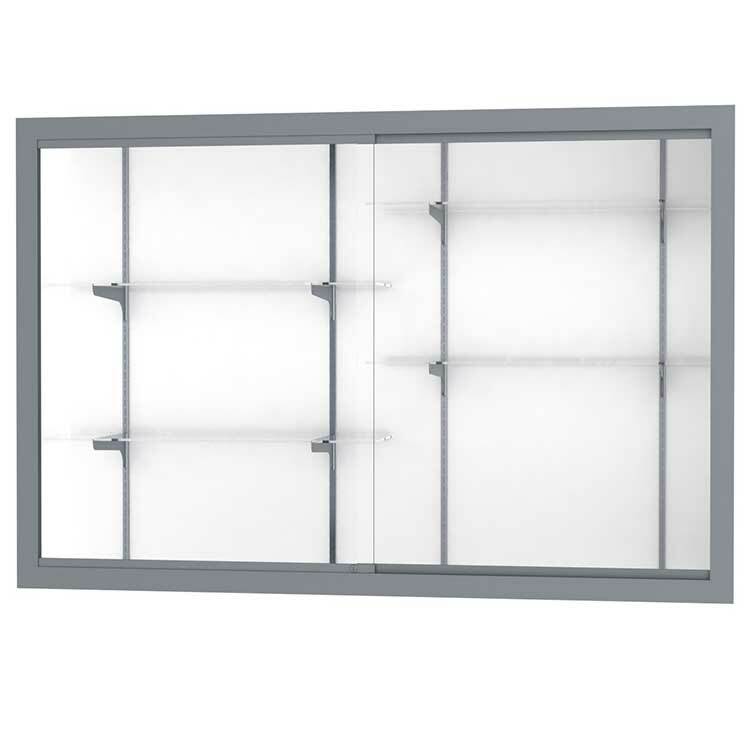 Its sliding tempered glass doors with ground-in finger pulls and built-in locks keep your displays protected with this added level of security. Steel shelving hardware and white laminate interior side panels will illuminate and turn the attention to the accolades displayed inside. Waddell's special design allows for easy installation, by a qualified installer, and a precise fit into tight wall openings. 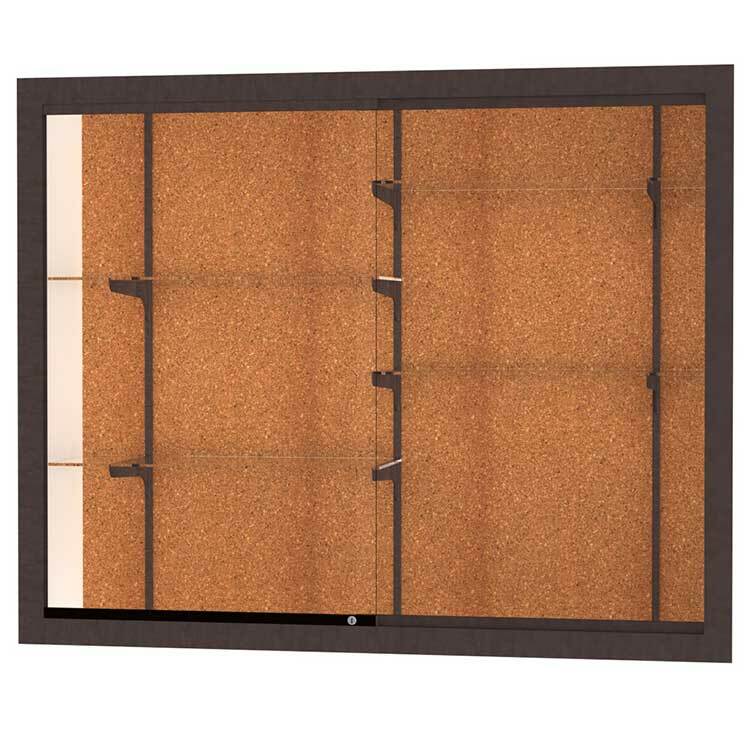 Recessed comes standard with four height options, a cork or white laminate case back, and your choice of a Dark Bronze or Satin Natural aluminum frame. 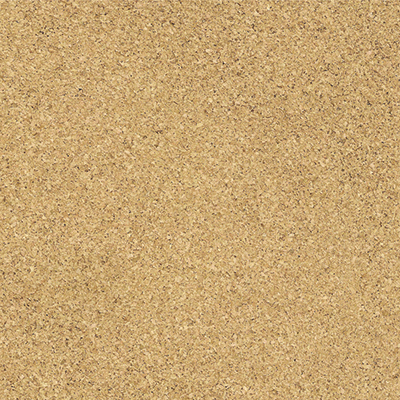 Recessed is backed by Waddell's Limited Lifetime Warranty and made in the USA.